Today littleBits placed an advertisement on a billboard in Times Square that will project one message loudly and unabashedly: “We Invent the World We Want to Live In.” This mantra has always embodied our values of empowerment, creativity and hope for the future. For the billboard ad, we chose to add another layer onto it: posting our rallying cry in bright shiny letters in English and Arabic as a message of inclusivity and diversity, and our hope for a peaceful future that celebrates all peoples. 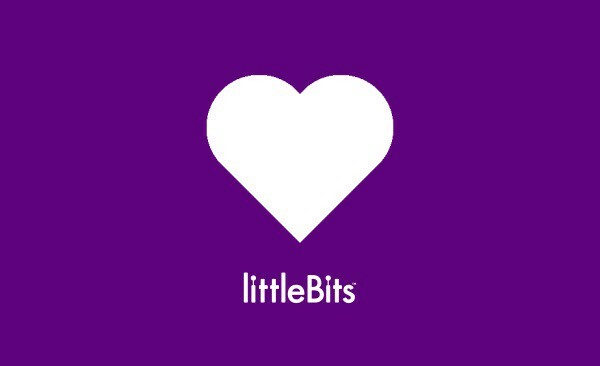 This past week has been difficult for the country, the technology industry, and the littleBits team. A week ago, President Trump signed an executive order which applied an immediate 90-day moratorium on admitting people from seven countries — Syria, Libya, Somalia, Iran, Iraq, Yemen and Sudan — from entering or re-entering the country. Most of these countries are primarily Arabic or Persian speaking. To help counter the feeling of Arabic being foreign or “the other” we took this opportunity to associate Arabic script with a positive, inclusive message and post it in Times Square. We believe if more people see Arabic script in a large font and understand the translation, they may view the Arab and the Muslim world as a little less foreign and a little less far away. At littleBits, immigration and being from “another” place is real — we are a company built on diversity. About a dozen Bitsters hold Visas or Green Cards, we have close to 20 languages in the office, a multitude of religions and about 20% of us were born in other countries. So while most littleBits employees are American either by birth or naturalization, our team represents the world we want to help invent — people from all over the world coming together to make a positive difference for children everywhere. This issue is also personal for me. My family and I are refugees many times over. My parents are both from Syria and moved to Lebanon as kids. They then fled Beirut to Montreal when the war broke out there. Each time my family has fled a conflict area, we have been fortunate enough to arrive at countries that welcomed us: France, Cyprus, Canada and yes, Syria, to name a few. Today, my mother, who was born in Syria and holds Canadian citizenship, is unsure if she can visit me next month as planned; she spent the last week talking with the Consulate about her options. Now more than ever, littleBits is committed to pressing forward, bringing more critical thinking and creative problem solving skills to kids everywhere and delivering a message of inclusiveness. What the world needs is more people capable of solving our biggest problems: people who believe in themselves, who believe in creativity, and most of all, who fully accept those different from themselves. We invent the world we want to live in. P.S. littleBits will be supporting the Malala Fund, an organization dedicated to ensuring girls complete 12 years of education safely. Stay tuned for details.